How can you ensure that your communication tools grab your target audiences’ attention and connect with them, logically and emotionally, so you trigger the right response? We have more than 20 years’ experience of producing engaging creative concepts and content for virtually every type of communication tool, from ads and presentations to publications, audio-visual media, websites and speeches. We view the core proposition through the eyes of the target audiences, focusing on the critical question, ‘what’s in it for me?’, and place particular emphasis on establishing a concise, well-structured storyline. 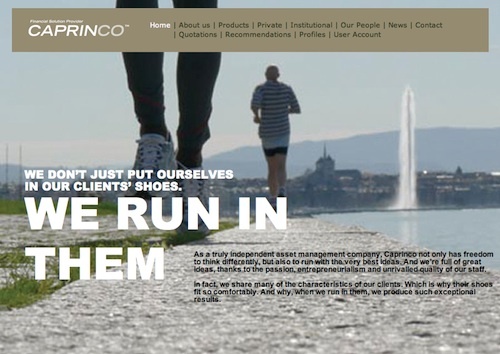 We’ve produced and contributed to numerous websites, including providing an ad-style concept and content for the site of the Swiss fund manager Caprinco, highlighting its bespoke service. 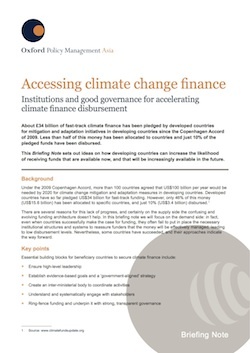 We created advertisements for the print and online editions of The Economist and other publications, encouraging more countries to make measurable financial inclusion commitments under the Maya Declaration. The concept of a raised hand was used as it can communicate multiple meanings, such as commitment, approval and partnership. 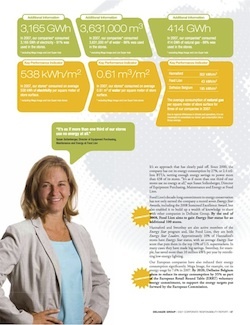 The concept was also applied to exhibition panels and reports. 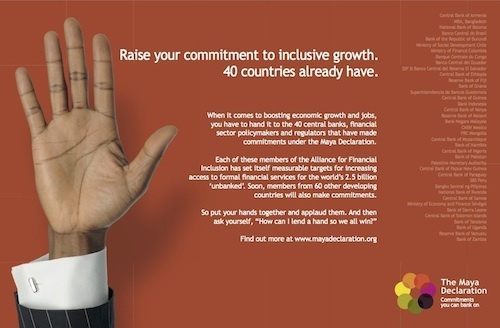 So far, more than 50 countries have made Maya Declaration commitments. 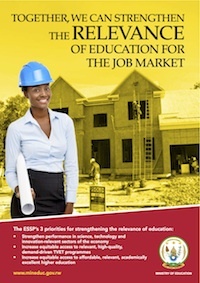 Rwanda’s Ministry of Education recently introduced a new strategy to improve the quality, access and relevance of its education system for the job market. To bring the staff of the Ministry and its agencies up to speed with the strategy, and to secure their support, we were asked to develop an internal communication campaign. 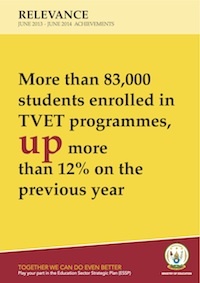 We transformed the Ministry into an ‘education strategy experience’. This included flooding the Ministry with colour-coded posters that explained the strategy’s three goals and achievements, inspirational videos and a staff survey. We even created a Ministry café to break down internal silos. Health and hygiene lie at the heart of Unilver’s consumer brands, a multinational with a long and deeply rooted presence in many low- and middle-income countries. 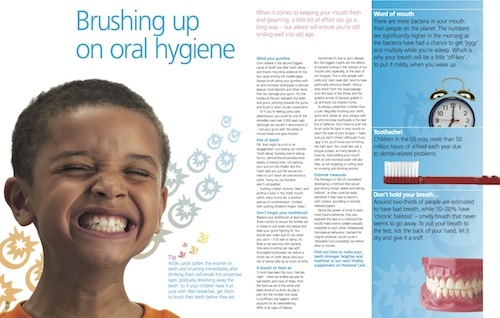 We devised, structured and wrote two major globally distributed magazines for the company, one on Health & Hygiene, the other on Food & Nutrition. Delhaize is a multinational food retailer with a strong commitment to fresh, healthy food and to protecting the environment. We helped the company develop a storyline that linked its roots as a small family grocer 100 years ago to its corporate and social responsibility (CSR) in local communities today. 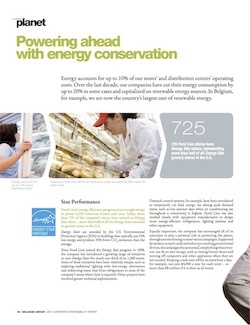 This included providing the editorial direction, structure and content for several of Delhaize’s annual CSR reports. We’ve also produced annual reports for many other organizations, from Europe’s largest biopharmaceutical company, UCB, through to GDF Suez and the Economic and Social Research Council. We have particular expertise in communicating complex issues in a simple, at-a-glance manner. 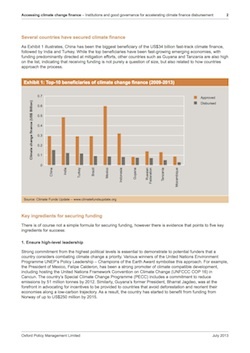 For Oxford Policy Management, for example, we produced a range of policy briefs on issues as diverse as climate change, public financial management and natural resources. We provided the structure, content, editorial support, and design. We also created a variety of other marketing and communication materials, in line with OPM’s corporate and regional brands, from a website and research reports to fact sheets. Over the last three years, we’ve helped our clients win more than $210 million of additional business from bids for major international development projects. We help our clients develop the core idea, structure the bid and provide editorial support. Overall, we’ve worked on more than 25 major bids, winning more than 75%.